Wheel and Sprocket was one of the first to sponsor TriWI because Chris Kegel saw the benefit of supporting local groups in an age where you can get anything from the internet. Ink to the People and Amelia Kegel from Wheel and Sprocket partnered up to launch a fundraising campaign for her father; Chris Kegel Foundation. 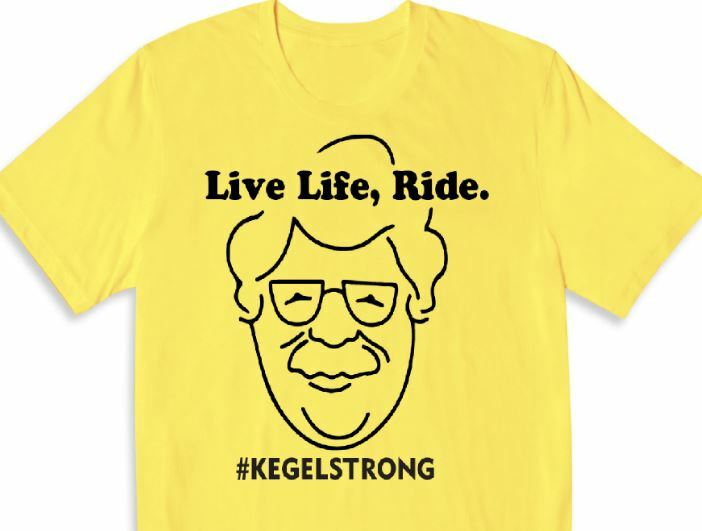 They have teamed up to create an inspiring shirt to not only raise funds for this foundation, but to commemorate the tireless work that Mr. Kegel did in our communities here in Wisconsin as well as throughout the United States. The foundations focus will be to continue Chris' commitment to improving lives by providing greater access to cycling and supporting the community through enhanced infrastructure, ride support, and opportunities to introduce more people to the joys of cycling. We would love your support in sharing and promoting this fundraiser as well as re-posting either our Facebook post or Wheel and Sprockets Facebook post via your Social channels and Facebook pages. The winner was "Design Uno" with 44.4%. 1. Why we decided to only offer a triathlon kit? Offering a bike jersey, bib shorts, and/or running shirt and not meeting minimums (14 per style) could impact our budget greatly. If we don't meet the minimums, we (TriWisconsin) have to buy up the rest of each style. This could be thousands of dollars and could take away money that we could use to support rides, clinics, workouts, etc. If enough interest is generated we could offer other options on our second order. 2. Why are these so expensive? 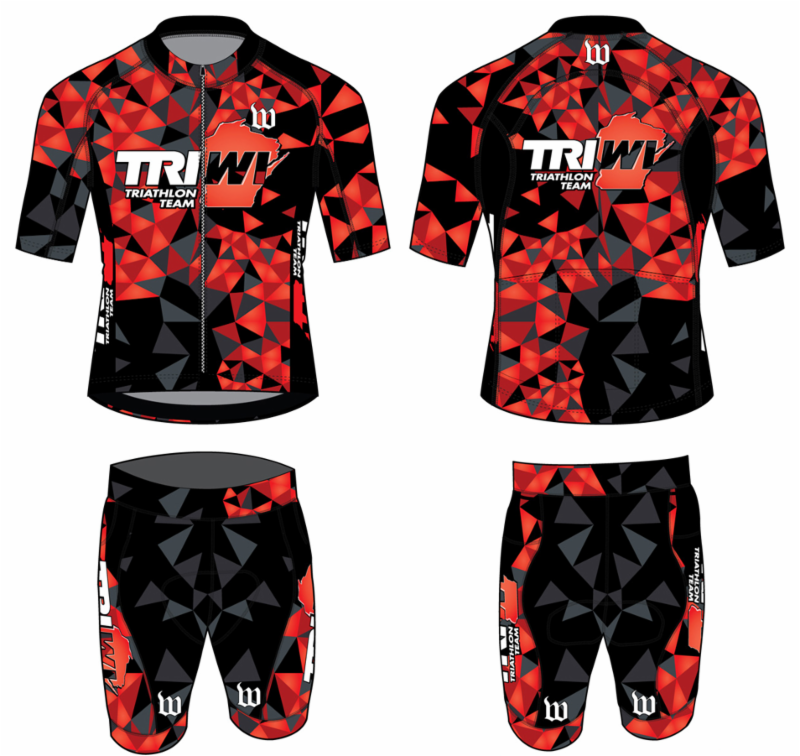 Actually these are less than a regular kit from Wattie Ink. We wanted to find a kit manufacturer that was local or at least 100% made in the US. Also, we wanted to offer a quality kit over a low quality/inexpensive one. Comparing to other high end kits out there we have a very competitive price for our custom kits. When choosing a company there are a lot of factors to consider: quality and fit of the product, ease of distribution (do they deliver to one address or to multiple), do they have a team store or do we have to collect money from everyone, how many design revisions can we make, how many times can we open the store, what are the minimum quantities, etc. After several weeks of research and contacting many companies we decided to go with Wattie Ink. They did not disappoint with the design and we hope that everyone that places an order enjoys their kits. Once again we thank you for you support and we always welcome feedback and/or any comments. Tri My Best is an annual triathlon for children and young adults with developmental disabilities. This year on August 6th 2017, Tender Touch Therapy and the Kenosha YMCA will be hosting the 3rd annual Tri My Best Triathlon. Tri My Best is looking for volunteers to assist their athletes through the course. They make sure that the race is authentic in that they train their athletes, time them through their race, and let them do as much as possible by themselves. To ensure safety however, they must provide their athletes with buddies. We are asking our members if any one is willing to volunteer at their event. Short YouTube video that recaps last year's event. We have a new tab with a TriWI Calendar where we will post all activities. It is up-to-date with the most recent information. There are many things still being added. 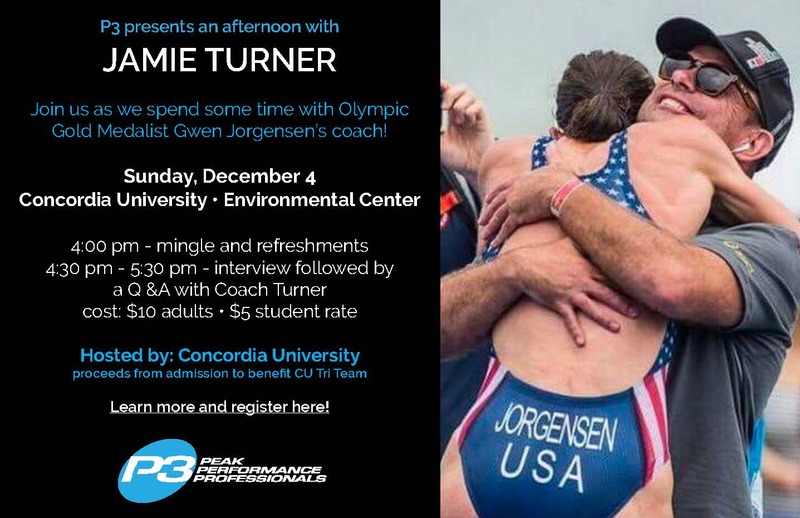 All proceeds from your admission go to the NCAA Concordia University Women's Triathlon Team! You will be supporting one of only eight NCAA women’s triathlon teams in the country. Click HERE for the direct link to sign up for this incredible event. Be sure to sign up NOW since space is limited. NEW for 2017! Indoor Cycling Workouts with the Milwaukee Cycling Center! TriWisconsin has partnered with the Milwaukee Cycling Center to offer our members a great opportunity this winter and spring to workout and improve their cycling fitness. Please see our WORKOUTS/ROUTES tab for more information. We have recieved the second Sugoi order. People that placed an order will get an email soon about pick up or delivery options. Sugoi RS Shorts have arrived!! Yes, you're reading right. We finally have received the RS Shorts from Sugoi and they look awesome! We will have them at the TriWI picnic this Sunday 8/28/2016 at Estabrook Beer Garden. Due to construction Ironman Wisconsin bike course for 2016 will be slightly different than previous years. You can click on the link below to go to their website and look at the new course. Note: we will be doing the new bike course on our upcoming IM Course Ride #2. Go to the events sections to find all the details!